Dr. Amoia received both his Bachelor of Science degree in Human Biology and Doctor of Chiropractor degree from the National College of Chiropractic. He also holds a Bachelor of Science degree from Arizona State University. Dr. Amoia treats all areas of the spine with a focus on lower back and leg pain. 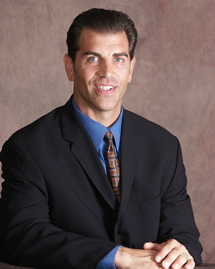 Dr. Amoia has used his experience as a doctor as well as being a member of both the Arizona State University and New York Jets football teams to provide chiropractic care for amateur and professional athletes. He is a member of the Arizona Association of Chiropractic. Dr. Amoia has done extensive post graduate work in acupuncture receiving his Fellow from the International Academy of Clinical Acupuncture. Dr. Genet is a member of the Arizona Association of Chiropractic. She is active in the community and enjoys speaking on health issues throughout the valley.